Hey all! Yet another scheduled post, this one looks sunny but while I'm typing this, I'm already getting in the mood for Xmas manis! For this mani I used a bigger image and randomly stamped parts of it on my nails. 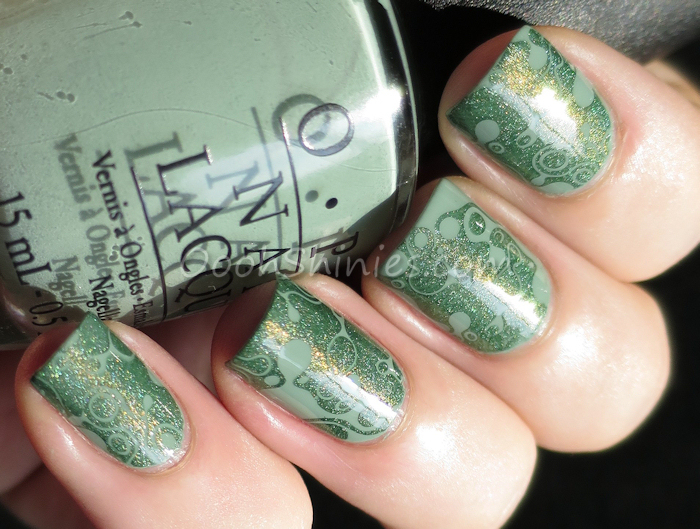 OPI Thanks A Windmillion with A England Dragon and MoYou-London Pro 06.